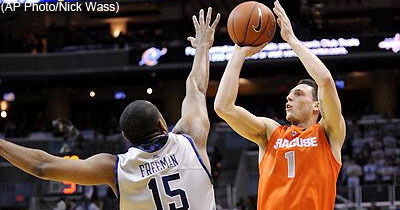 Former Syracuse star Andy Rautins is heading to the NBDL’s Tulsa 66ers, the team announced this morning. 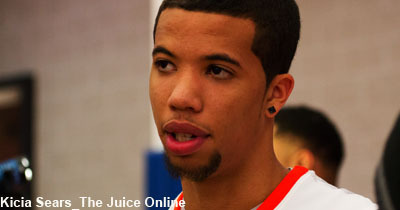 I appreciate all six of the schools on my list but the three schools I’ve decided to keep on my list are Kansas, Syracuse and Villanova, Roberson said to SNY. With a week to go until the start of the college basketball season, we’re going to make some predictions for the 2012-13 season. What are some of your predictions? 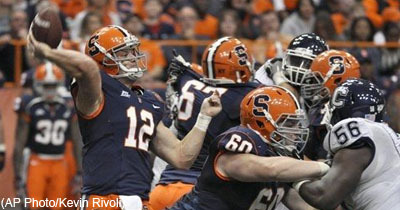 Kickoff Countdown: How big was Syracuse’s win over USF? 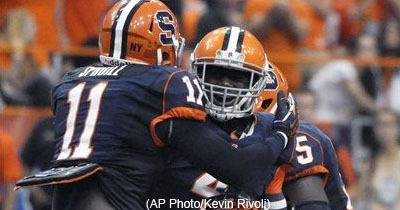 Syracuse had one of the best comebacks in school history, rallying from a 20-point halftime deficit to defeat USF on the final offensive play of the game. But just how important was that win? B.J. 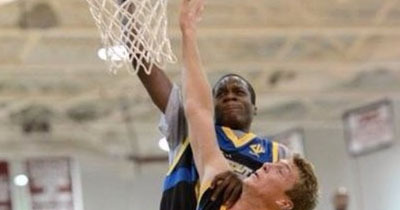 Anya is down to N.C. State and Indiana and says he likely will choose from among those two schools sometime in the coming weeks. 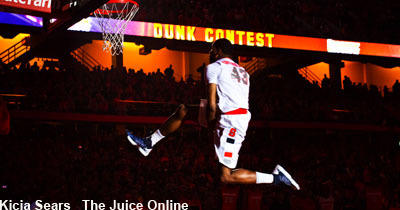 Tipoff Countdown: Is Syracuse really playing a weak non-conference schedule? The Orange will play only one preseason ranked opponent in its non-conference schedule, and will leave New York for only two games. But does that mean Syracuse is playing a weak non-conference schedule? 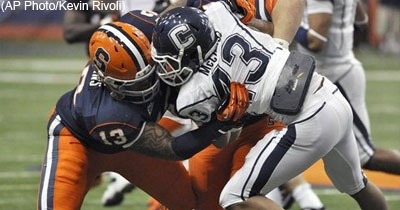 Syracuse mounted the biggest second half rally in college football this season, defeating USF 37-36 on Saturday night. Here are my grades. Don’t look now, but the Orange are in the thick of the Big East race with a 3-1 league record, joining Rutgers and Louisville as the only teams with winning conference marks. 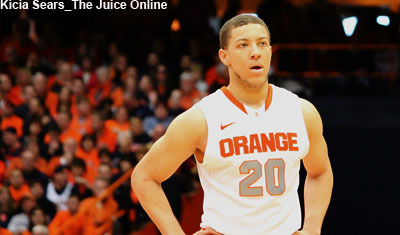 Tipoff Countdown: Who will be Syracuse’s go-to guy? 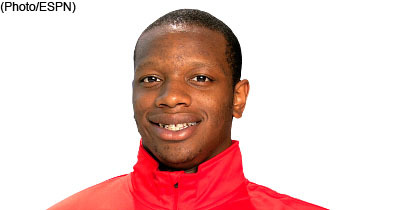 Syracuse hasn’t had a true “go to” player since Wes Johnson in the 2009-10 season. The Orange have instead opted for a more balanced approach in the last two years, as no player as averaged more than 15 points. 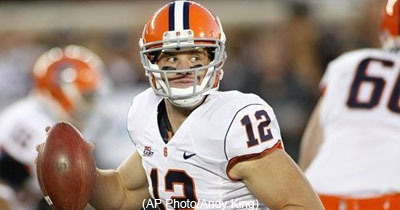 Who, if anyone, will become SU’s go-to scorer this year? Quinta Funderburk made another appearance last night! Our favorite Arkansas transfer, who is ineligible this season, apparently committed a penalty on a kickoff, according to ESPN announcer Mike Gleason.